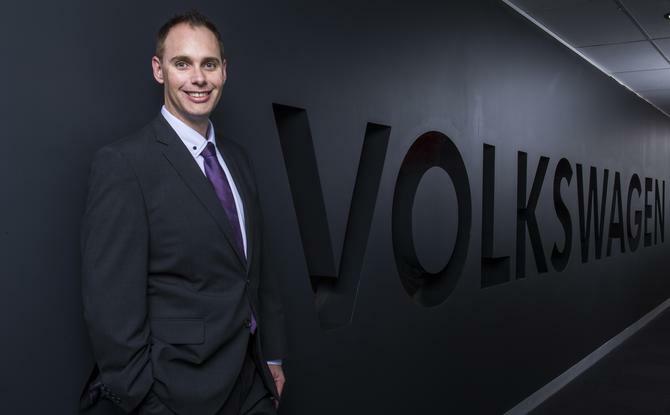 Jason Bradshaw was appointed Volkswagen Group Australia’s first director of customer experience 12 months ago, an executive-level role he claims is also a first for Australia’s automotive industry. The remit: Put the customer front and centre across HQ, as well as its dealership network, making customers the first, second and third priority behind every business decision. “We recognise as a business that if we are going to drive our CX forward, the director needs to be responsible for all the major touchpoints impacting our team member’s experience as well as the customer’s experience across the whole lifecycle of ownership,” he says. Bradshaw’s department is responsible for contact centre, roadside assistance, customer satisfaction and loyalty, customer experience programs, CRM and its staff academy. CMO recently caught up with Bradshaw to hear what steps he’s taken to bring customers into the very heart of business decision making, and how culture, service, advocacy and technology contribute to experience success. Bradshaw’s first priority was to make sure everyone at VGA and its dealers understood the term ‘customer experience’. “There is a big difference between satisfaction and experience, and the first order of business was to make sure everyone serving our dealers and end customers understood what good looks like,” he says. To do this, Bradshaw developed an online customer experience training program for the VGA dealer network as well as corporate employees, which subsequently won an award at the LearnX Impact Awards this year. Hundreds of team members and staff completed this within the first few days of launch, he says. The second priority was VGA’s customer care division, which Bradshaw admits was disjointed and struggling to deliver adequate levels of service. “Now, no customer goes unheard. That was really important, so we spent time focusing on retraining and embedding that customer-first culture in that team,” he says. The third priority was establishing a strong team that could help orchestrate the aggressive change program. “By end of the first 90 days, we had created and launched our customer experience strategy across the brands, announced it to dealerships and then got on with the business of improving our customers’ experience,” he says. Alongside the strategic and cultural efforts, Bradshaw quickly implemented Salesforce CRM across the customer service team. Previously, the group used multiple systems to service end customers, raising the chances of something going wrong and complicating the service process. Bradshaw is now looking to source and implement a whole-of-group CRM system, ensuring teams have a complete view of the customer across customer care, sales and service. Two pillars support the customer experience strategy for Volkswagen brand. The first is what Bradshaw describes as its five CX principles. Rather than subscribing to a specific service method for all customers, Bradshaw says the emphasis is on ensuring every customer gets served in a way that meets or exceeds their individual needs. “Our cars have never been known for being boring or plain, nor should our customer experience,” he adds. Tackling service standards has meant making significant changes to the way dealers are engaged, recognised and rewarded. So in July, Bradshaw launched a dealer star rating system across the Volkswagen website based on customer feedback. Bradshaw has actively looked to build dealer capabilities and skills since the day he arrived at VGA. Not content with just online CX training, he recently took 25 dealers on a five-day study tour to the US, spending time with customer experience champion brands such as Disney Institute and The Ritz-Carlton, as well as industry thought leaders including Scott Kane and Joseph Michelli. “Everyone saw a significant uplift in experience they deliver to the customers. That is an example of how big, bold and different we are prepared to be to deliver a consistently premium experience for our customers,” he says. Metrics have been vital as a check and balance system, so not surprisingly, these have also had an overhaul under Bradshaw’s stewardship. From standard sales and after sales surveys at dealership level, VGA now measures both at a sales consultant and service advisor level. VGA is going one step further in January by overhauling its customer experience survey and measurement program and will launch a new CX portal, measuring both Net Promoter Score (NPS) as well as satisfaction. Australia will be first market globally for VGA to use both NPS and customer satisfaction. As one of five directors at VGA, Bradshaw has an influential position in the business. All of these customer experience efforts come in the wake of significant brand challenges globally. Last September, Volkswagen saw billions wiped off its brand value and faced significant financial fines and customer charges after the US Environment protection Agency reported defects with the emissions software used in its vehicles. The ‘defeat devices’ were found to be telling millions of the company’s vehicles to go into ‘clean mode’ when being tested for emissions. The scandal caused shockwaves around the world and has cost as much as US$25 billion as the group undertakes a global recall program to fix the vehicle problem. In August, the Australian Competition and Consumer Commission also launched a Federal Court action against Volkswagen and its local subsidiary over the diesel emissions scandal. Having been appointed before the scandal broke, Bradshaw says he met with the new MD, Michael Bartsch, and asked one question: Given the issues on the table, did that change VGA’s commitment to CX? Another step in preparation for that recall has been to work with dealers to ensure they manage customers coming back for rectification work with the utmost professionalism, Bradshaw says. Furthering Bradshaw’s CX efforts are digital connectivity and data insight. While many brands have had to suffer the consequences of social media ire, this level of transparency has been a good thing to address, he claims. In recent months, VGA has invested in additional tools to source social customer commentary in order to analyse, guide and drive customer experience programs. “There are a million data sets out there, our job is to distil that into something that can drive the right actions,” he says. More widely, Bradshaw and his team are actively sharing other types of data-led consumer insights with dealers and corporate employees. “When a customer comes to pick up the car from service department, for example, we found that if we do the routine stuff in 8 minutes or less, they’re more likely to be delighted,” he says. “We wouldn’t have those insights if we just looked at a score. So we’ve moved the dialogue from what’s the score to what are customers saying and nuggets of gold in those words, regardless of channel. Further initiatives are on the way in 2017. One is a mobile app for dealers that will serve push notifications to help them respond to urgent customer issues. A new website, called ‘I am Volkswagen’, will also launch, aimed at attracting, retaining and rewarding team members in the group or for dealer partners. Through all of these efforts, Bradshaw says a vital personal attribute has been resilience. Bradshaw says a chief customer officer is being able to understand these two things are intertwined. “Long-term profitability comes from having long-term customer advocates,” he says.